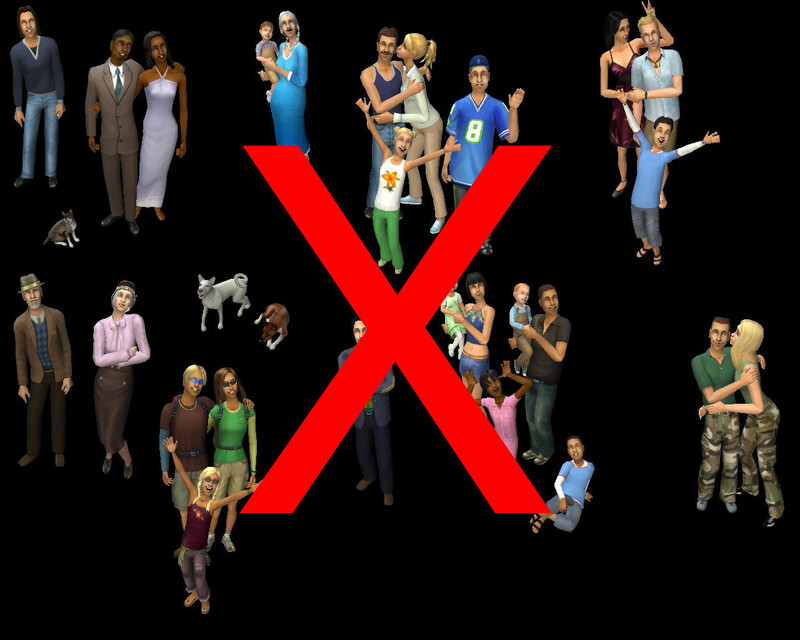 Do you want to get rid of those Maxis families which always appear in your neighborhood's bin? And you don't want to delete them because this corrupts your neighorbood? I used Numenor's AnyGameStarter to create empty neighborhoods using an empty Anygame with no Maxis content. I had to copy the hobby lots and the witch lots because every neighborhood needs them. These stealth 'hoods have been thoroughly checked with Mootilda's HoodChecker and no errors have been found. You also don't need all 5 expansion packs for 1 stealth hood. If you have all expansion packs, then you can download all 5 stealth hoods. Make sure you make a backup of your existing template first. You may want the stealth families or NPCs back. Note: These templates will ONLY affect new neighborhoods or neighborhoods that haven't been loaded yet. In short, neighborhoods that don't already have the original stealth hoods installed. Meaning, if you saw loading screens like "Create Pets"; "Create Weather"..., then these templates will not change anything but future neighborhoods! She was the most helpful one here. Thank you very much!